We're heading off on vacation so during the coming week there won't be much going on on Rewards Canada. We may put some posts up on the blog, Twitter, Facebook and Instagram if there is breaking news or some amazing offers so don't forget to check them regularly. The main Rewards Canada site however will not see any updates until the following week. We wish everyone a Happy Easter and safe travels if you are heading out during this time! May you earn and burn many miles and points! Oh and yes this trip is being partially funded by points but is also a decent points earner. We are flying WestJet and paid for the tickets on my Diners Club Club Rewards MasterCard to which we applied a tailored travel credit. It wasn't for the full amount of the flights but nearly $1,700 of the flights were covered with this redemption which left us only about $800 out of pocket. This was our best bet for this trip as WestJet is the only airline that flies direct on the route and of course since we booked the tickets ourselves we got to pick the exact dates and times we wanted to travel! The beauty of this type of redemption is that it is a full revenue booking with WestJet so all of our family members will earn 1% WestJet Dollars on the complete base fare not to mention the Diners Club Club Rewards points we already earned on the initial booking. That means with the base earn rate of 750 points and the 8,250 points bonus I'll earn 9,000 points on the rental. Guess what? 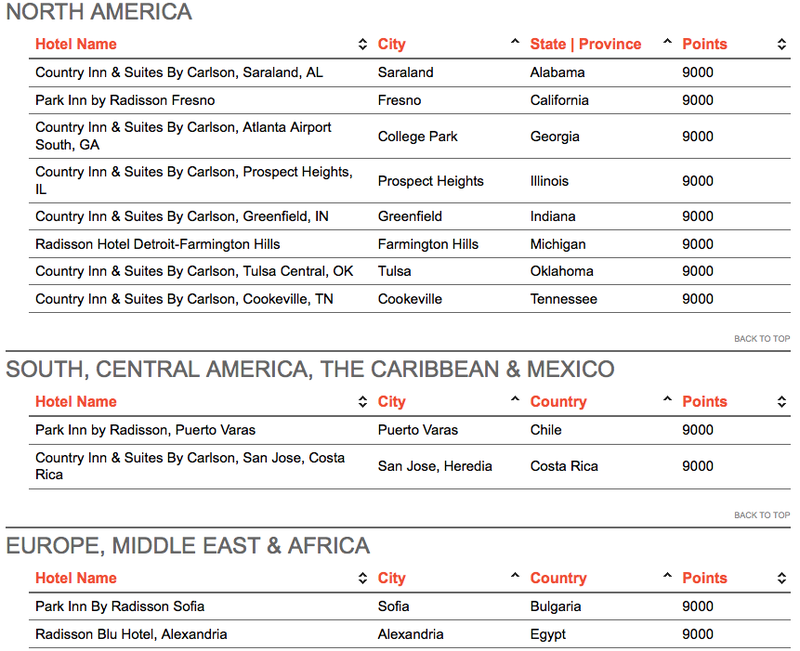 9,000 points is enough for a free night at a Category 1 Carlson Rezidor hotel. However I will more than likely just use those points to boost my account for a future redemption at a higher category hotel. There you have it, a great example of miles and points in action. This trip is a perfect picture of utilizing both earn and burn techniques from loyalty programs that I participate in. How about you? Are you off for Easter Break? Let us know how you've put loyalty programs into action for those travels by commenting below!